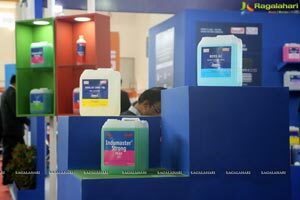 Asia's largest cleaning show, Clean India Technology Week was formally inaugurated by Dr B Janardhan Reddy, IAS, Commissioner, GHMC on Wednesday at Hitex Exhibition Center, Hyderabad. 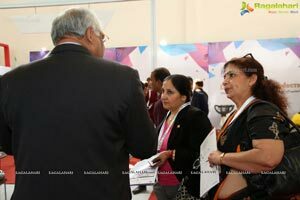 Also present on the occasion were Dr T K Sreedevi, IAS, Director, Municipal Administration Department, Telangana; Sri Ravindra Modi, President, FTAPCCI; Mr Reudiger Schroeder, Managing Director, Karcher India Pvt. 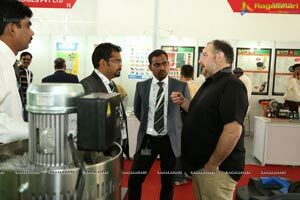 Ltd; Mr Varun Karthikeyan, Managing Director, Roots Multiclean Pvt. 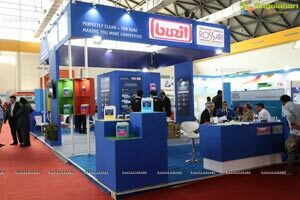 Ltd; Mr Sunil Chari, Managing Director, Buzil Rossari Pvt. 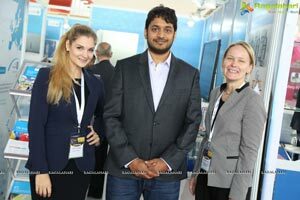 Ltd; Mr Sandeep Sood, Managing Director, Seitz India Pvt. 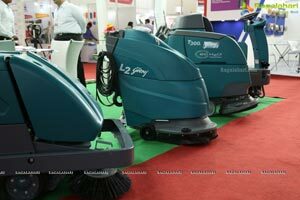 Ltd; Mr Anshul Gupta, Managing Director, Quick Clean Pvt. 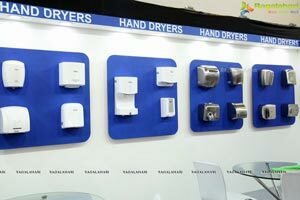 Ltd; Mr Akash Dharamsey, Director, ADD Laundry Concepts Pvt. 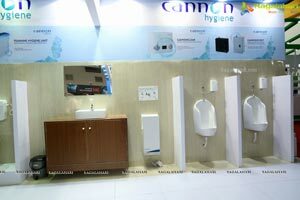 Ltd; Mr Aditya Khatod, Partner, Poona Brush Company; Mr B. Chandramouli, Chief Regional Manager-Direct Sales, HPCL and Mr Arun Thapar, Managing Director, Inventa Cleantech Pvt. 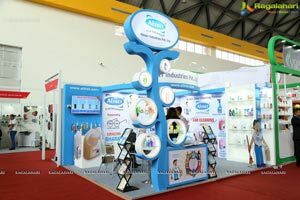 Ltd; were also present on the occasion. 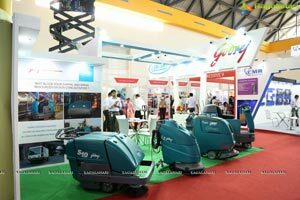 The Show has four concurrent exhibitions - Clean India Show, Laundrex India, Waste Technology India Expo, Car Care Expo and for the first time a separate section for Pest Management. 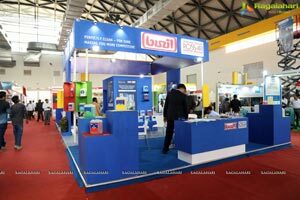 The Show is supported by the GHMC and FTAPCCI and is set to attract over 8,000 potential trade and industrial visitors from India and abroad. 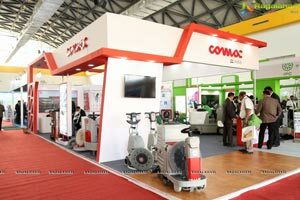 This single largest platform for networking with leading players of the industry and enhancing business opportunities, will showcase cleaning solutions for a gamut of industries, including manufacturing, engineering, pharma, automobile, textile, IT and other industries, besides hotels, hospitals, malls, education institutions and commercial & institutional spaces. 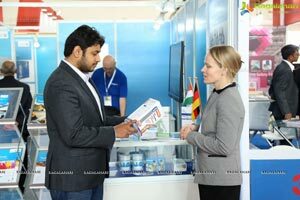 Exhibitors from across 20 countries are showcasing new technologies, products and systems applicable in almost all sectors. 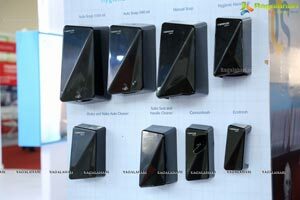 "Today, technologies are changing and we also need to make changes accordingly and optimally utilise these new technologies to our requirements. 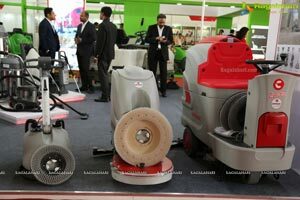 No doubt, there is a huge requirement and Clean India Technology Week will bring forth these technologies which are available elsewhere in the world. 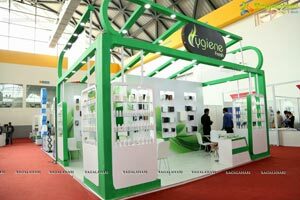 Besides, we come to know about their utility and experience across the world. 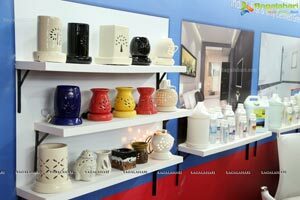 Whatever is suitable to us and that can be customised to our requirement and adopt it. 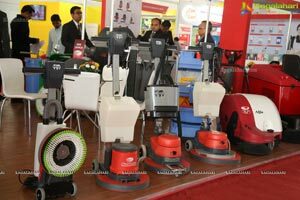 There is a huge scope for mechanised cleaning, as in many areas we cannot completely depend on labourers, in terms of efficiency, cost efficiency and availability of labour itself. 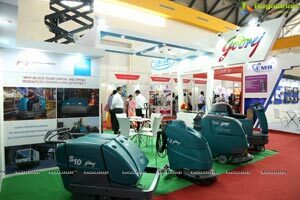 Further, labourers are not keen in doing the cleaning job and hence, today or tomorrow we have to adopt mechanised cleaning" says Dr B. Janardhan Reddy, Commissioner, Greater Hyderabad Municipal Corporation. 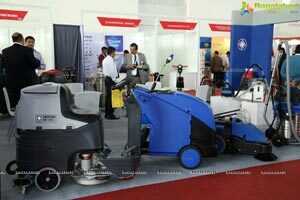 "The Telangana State Road Transport Corporation has its processes in place to clean its fleet. 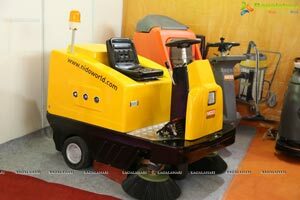 We do have machines at various bus stations. 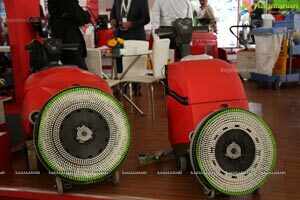 At the same time, it is important to look at the technologies that is being offered at Clean India Technology Week and find out how it will be useful for us. 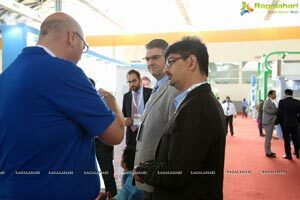 We would certainly like to understand the indigenous solutions that will be on display and how best it would be useful to us" says Mr G.V. 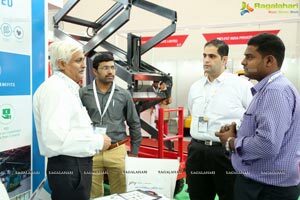 Ramana Rao, Managing Director, TSRTC. 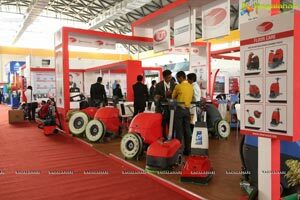 "Clean India Technology Week will provide the exposure to newer technologies which will reduce the drudgery attached to manual cleaning. 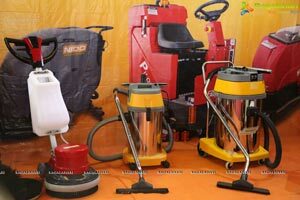 Right equipment or tools can reduce this drudgery and help keep the cities cleaner. 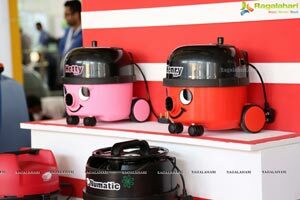 It is time to adopt them. 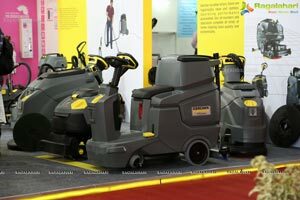 Unlike the common belief that mechanisation reduces the number of people required for cleaning, it in fact reduces the inhuman way of cleaning. 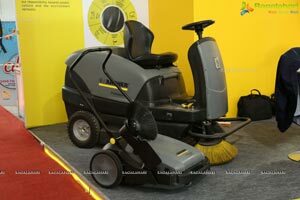 When we are talking about roadside cleaning, it is such a hazardous task. 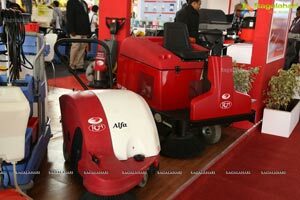 If mechanisation is introduced in cleaning of highways, it is much safer and it also reduces the hardships" says Dr T.K. 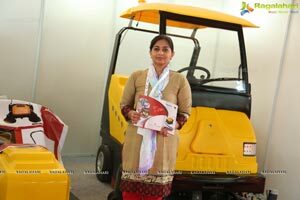 Sreedevi, Director-Municipal Corporation, MD-TUFIDC, Mission Director-MEPMA Live Demo. 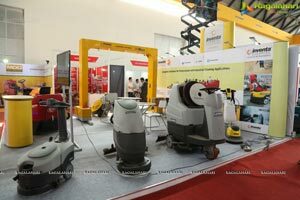 The Cleaning solutions being showcased encompasses right from road sweepers required by the Civic authorities to high pressure jets needed in industrial cleaning. 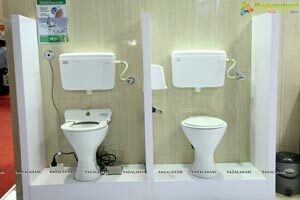 Waste management is one of the key elements in the Smart City agenda of the central and state governments. 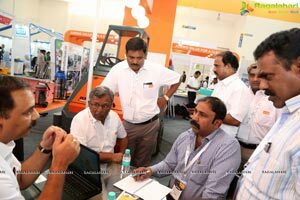 The waste management section of CTW provides the platform for showcasing solutions for management of waste -- municipal, domestic, industrial and others. 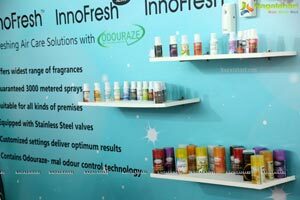 The Indian commercial/institutional laundry market has been expanding rapidly, many international companies have entered India bringing in newer technologies which are water- and power-efficient. 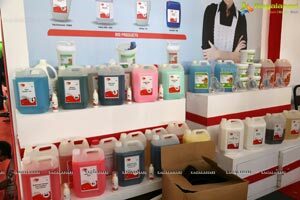 The Car Care sector has opened up the emerging market for professional vehicle cleaning and detailing. 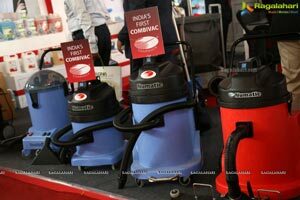 Various exhibitors are demonstrating their innovative products and solutions at the exhibition, like the Poona Brush Company's Clean-o-Vac, a first of its kind solution in India, to clean vehicles by spending minimal time and water. 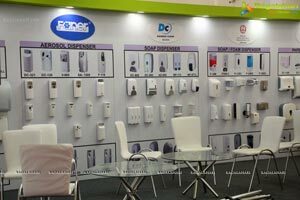 Hand Care Solutions' Hygiene Foam Soap Dispenser is a simple manual dispenser with Anti-microbial Press button, which releases measured doses of liquid soap. 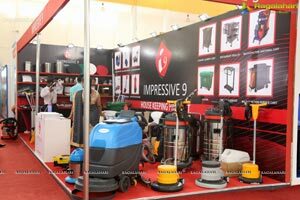 There are several other solutions and products at the Show, designedto address various cleaning needs. 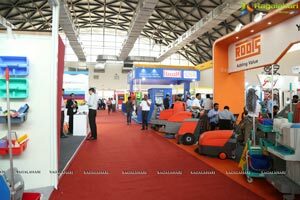 The knowledge sharing sessions at the Show include special workshops for Facility Services companies, talk on Role of Digital Platforms in Cleaning Programs; panel discussions on Industrial cleaning; Pest Management; Efficient Processes: Saving on Energy & Water etc., roundtable on Cleaning activities as part of Corporate Social Responsibility; Partnering for City Cleaning, Greening, Hygiene & Sanitation - Government, Corporate - Cleaning Industry; and presentations & panel discussions on laundry solutions and several other topics spread over the three days. 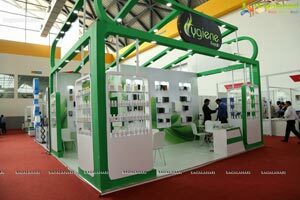 There will also be a buyer meet for the hospitality sector. 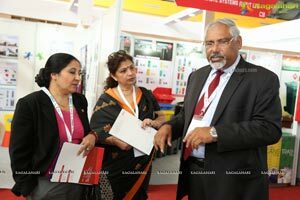 Several eminent speakers and panelists will take part in the Seminars and Workshops including Uday Menon, General Secretary, Indian Pest Control Association (IPCA); Vaishali Sinha, Founder & General Secretary, I-Professional Housekeepers’ Association; Sivakumar Somasundaram, Consultants Entomologist & Master Trainer; Nitin Nagrale, Founder and General Secretary, Hospitality Purchasing Manager’s Forum; P Seshadri, MD & CEO, ODC Standards Certifications (India); Rajiv Nehru, Head-Training & Product Development, South Asia-Royal Institution of Chartered Surveyors (RICS); Vinay Deshmukh, CEO, Forbes Facility Services; Jolly Kocherry, CEO-Blue Bell Integrated Facility Services; Vishal Mani, Country Head, MCS Solutions; Parikshit Roy, MD-Support Services, Compass India Support Services; Srikanth Kumar Swami, MD, OCS Group (India); Sunil Kapoor, Country Manager & Director, Nilfisk India; Deepak Baluja, MD, Final Technologies; Christoph Marz, Application & Service Engineer, Buzil-Werk Wagner GmbH & Co. KG; Thomas Ulbricht, CFO, Buzil-Werk Wagner GmbH & Co. KG; Tiger Chang, LG Commercial Laundry, Korea; Dirk Mertins, General Manager, Seitz; Xavier Salas, International Sales Director, Girbau Group; Kho Tjin Hok, Lagoon Specialist, APAC; Rachit Ahuja, Founder & Director, Quick Dry Cleaning Software; Sandeep Sood, MD, Simran Technologies; Shrirang Tambe, CEO, ORIGA Leasing; Anshul Gupta, Co-founder, Quick Clean Pvt. 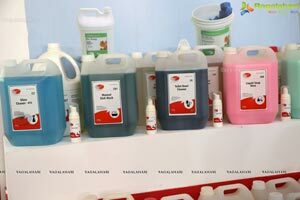 Ltd., and several industry experts. 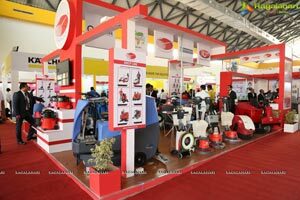 Some of the leading Exhibitors at the Show include Karcher India, Charnock, Comac, IPC, Roots Multiclean, Cannon Hygiene, Nilfisk India, BuzilRossari, Godrej Tenant, State Development Corporation of Thuringia, Q-Technology, Filmop, Rubbermaid, 3M, HPCL, KKE Car Wash, Inventa, ATS Elgi, Quick Clean, Electrolux, LG, Girbau, Seitz India and Protek, Alliance and many more.